A lot of speculation has arisen regarding the future of the X-Men as the previous flick showcased a story line that completely changed the landscape of X-Men. A lot of speculation has arisen regarding the future of the X-Men as the previous flick showcased a story line that completely changed the landscape of X-Men universe. All that took place a decade ago in the first X-Men trilogy quickly got undone in a single flick. It seemed like this is the end and the world is A-OK now. No more X-Men movies. That wasn’t true at all. Fox quickly released a statement that a new X-Men movie is in works and it is going to revolve around Apocalypse. So, who is this guy? We all know that he is a God from the trailer. But there is so much more to him. Let’s take a deeper look into his character and what truly makes him the greatest foe of X-Men Universe. Being born in the ancient days with superhuman powers and the only being to have them gave him the godlike status. He has seen all the ages of mankind and has been interpreted as god in many mythological myths. Based on this he could be called the god of all ages. Darwinism at the grandest level. This guy is more of a psycho when it comes to philosophy. He is a strong believer of mutant rule and says humans should be enslaved. Why? Because of Darwin’s theory of evolution which states that only the strongest of the strongest should survive. Clearly, humans don’t stand a chance when he’ll come down on them. This thinking could be partly due to the fact that he lived in an harsh environment of a desert. We keep using the word god and not talk about his powers and anything. We’ll get to the latter shortly but first let’s talk about him being a god. 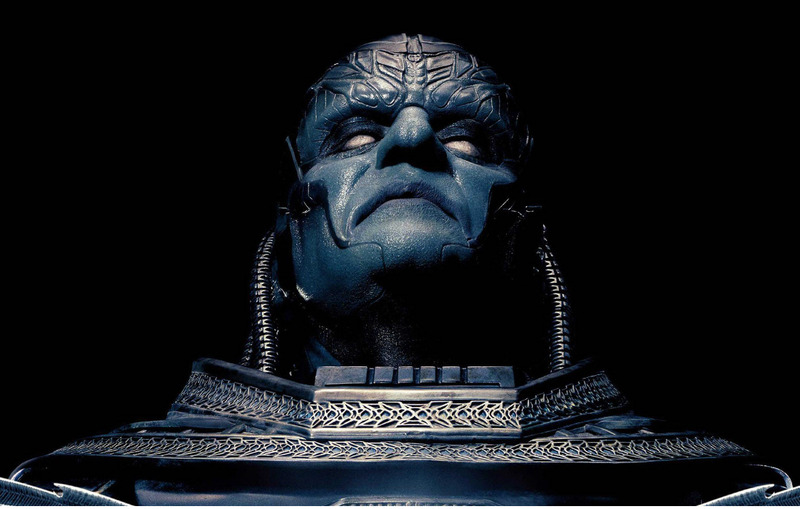 Apocalypse was the first mutant and so he was considered as god in the place he was raised. He then travelled the world, saw everything that it had to offer, shape shifted, formed new forms and cemented his position as a god. He created conflicts to see who is the strongest of them all and often solved them. The theory of strongest shall live never died and hence he lived on and became god of every living being. Its going to be one hell of a fight for the X-Men when this guy shows up, because he is not only a god but also the most powerful mutant of them all. With that stated out let’s talk about his abilities and the list of things this monster can do. — He can shape shift. — Has enough physical power to beat hulk. — He is an eternal Omnipotent being who doesn’t age. — Can fly, harness other technology and improve himself forever. — He is the strongest telepath. — He can teleport, use technopathy. — He can do what Mystique and ant man does. — Can literally become anything he wishes to, even a human. — Truly speaking, his full powers have never been fully tested. We don’t know how strong he really is. Understand! This guy believes in strength much like the Dothraki tribe of Game of thrones. He admires and respects it and for that very reason he never fights alone. You will see him with 4 horsemen that he choose to be with and fight off against anyone who chooses to oppose him. The mutants he chooses to become his horsemen are the strongest set of mutants. With this own strengths and abilities combined with of the strongest mutants of that time, this is one beast that is not going to go down easily.